These colourful and reusable paper pinwheels are a quick, easy and incredibly effective way of instantly transforming a room with effortless chic. They can be hung from ceilings, used as a stunning backdrop for table spreads, or layered and overlapped with other pinwheel designs to create one large pinwheel backdrop on walls with dramatic effect. 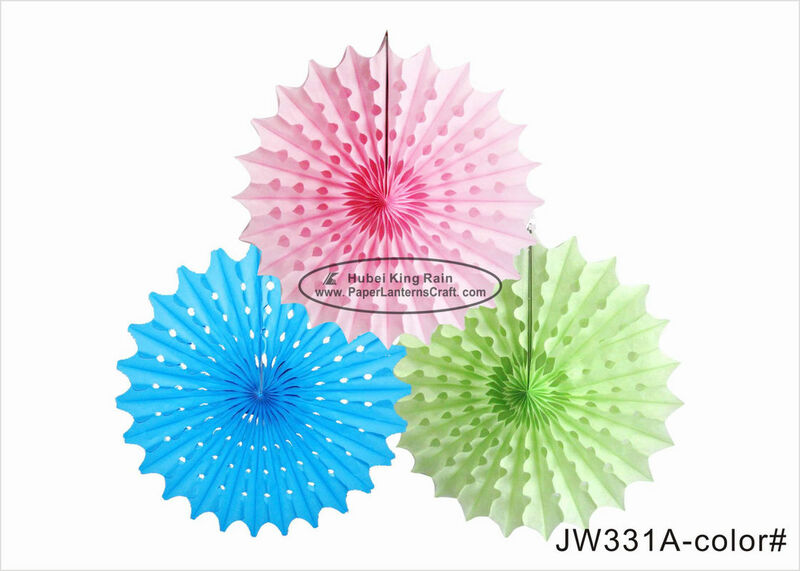 Available in all shades of wedding, birthday and Christmas, paper pinwheels are an easy way to create a wonderful party atmosphere, whatever the theme. Size 8" 10" 12" 14" 16"
••1) Q : When can I get the quotation for my enquiry? ••2) Q : How long is the mass production time? •• A : Normally 40 days. If quantitys then we disscuss. ••3) Q : Can i get a sample before mass production? •• A : Of course! The normal produce progress is that we will make the preproduction sample for your quality evaluation. The mass production will be started after we get your confirmation on this sample. ••4) Q: How long can I got this sample? •• A : After receiving the sample charge and all the material & design being confirmed, the sample time is approx 7 days. Size: 8" 10" 12" 14"
Size: 8" 10" 12" 14" 16"
Size: 8" 12" 14" 16"